This article was originally published August 14, 2017. It has been updated to reflect 2017 tax forms. *The Oregon state solar tax incentives expired end of 2017. This information is relevant for 2017 tax forms that will be filed by April 2018. For Oregonians interested in solar, voting on the state tax credit renewal is supposed to happen in the next few months and we will update information as it comes in. Oregon makes it easy for its citizens to invest in renewable energy by offering a state solar tax credit up to $6,000 for your residential solar system. The solar tax credit eases your tax burden and helps you recoup some of the expenses of having a solar power system installed in your home. The incentive is offered through the Residential Energy Tax Credit (RETC) program. It applies directly to energy efficient products and systems that generate renewable energy like solar power. To claim the tax incentive for yourself, your home must be located in Oregon. It also must be a primary residence, or a vacation/secondary home. You also must be the owner of the new equipment to claim the credit. It can only be applied to eligible materials and equipment at the time of your purchase. You can find out more about materials and equipment that qualify for the program by visiting the state's Department of Energy website. First and foremost, working with your solar provider can help simplify the process for you, so it’s best to have your system installed by a company that is certified by the Oregon’s Department of Energy (like Blue Raven Solar). After the system is installed, have it inspected by a certified tax technician. This technician will review your system to ensure that it meets the requirements outlined in the state's solar tax credit program. Find a solar company that works with a certified tax credit technician that will coordinate this step for you. After the technician reviews your system, he or she will send you a solar tax credit application within three days.  This application will be sent to you by email through an online portal called PowerClerk. Once you receive it, complete the form and provide your e-signature from PowerClerk. Submit it to the Oregon Department of Energy (this is done when you click submit on the document online). The department will review it to make sure it is filled out correctly. You will then be mailed out a tax credit certificate within three to five days. Once you receive your certificate, you must then wait another seven days before applying for the state's solar power tax credit. The state requires seven days to transfer the credit approval to its Department of Revenue's system. So make a note on your calendar a week after you receive the certificate. You can also get help understanding these solar tax credits as well as access to any forms you might need by visiting the state's Department of Energy's website. This website outlines the precise process required by the state for claiming the credits. In addition, you can find the RETC rate charts and other resources that might help you learn how many credits you might be eligible for after you submit your return. Oregon is one of several states that appreciates the potential that comes with investing in renewable energy. 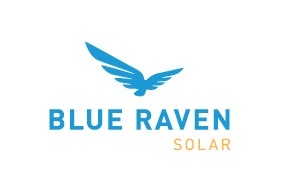 The state's Department of Energy encourages people who live in Oregon to consider buying and installing solar power systems in their homes, so partner with a solar company like Blue Raven Solar who is certified by the state to install and reap the benefit of the state tax incentive. Don’t delay, solar photovoltaic applications must be initially input into PowerClerk by a tax credit technician on or before December 31, 2017.